We're proud to announce that World of Tanks will be presenting the legendary TankFest event, to be held on the grounds of the Tank Museum in Bovington, England! Held over the period of two days, TankFest will play host to a huge variety of armoured vehicles both past and present, with tons of activities for any and all visitors. More details can be found below! Tankfest is widely regarded as the world’s best display of moving armour. 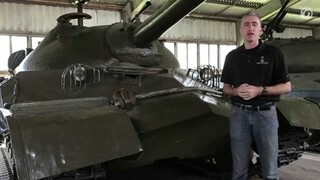 It features some of history’s greatest tanks in full motion, right before your eyes! With guest vehicles and old favourites returning to the arena, this year's Tankfest is on track to be the best yet! When and Where will TankFest be held? The movie stars reunite. At this year’s event, there will be three Sherman tanks from the Hollywood blockbuster film ‘Fury’. These iconic vehicles will be reunited with The Tank Museum’s fearsome Tiger 131, the only running Tiger 1 in the world, for the “Grand Finale Battle”. This will include a tribute to the last days of World War II and a salute to the Veterans. A parade of tanks. Many armoured vehicles will be making an appearance at TankFest, like the Panzer 38T, Comet, Panzer III, the Rolls Royce armoured car, Centurion, Chieftain, Matilda I and many more besides. Several of the latest equipment from the British Army will also take to the arena! Wargaming's finest military specialists Richard "The Challenger" Cutland and Nicholas "The Chieftain" Moran will also be out in force during the whole of TankFest, no doubt willing to share their expertise on all things military. I'd like to go! How do I get there? For more information, directions to the event and to buy tickets online, see the official website (English only). The Tank Museum wishes to emphasise the importance of booking tickets online in advance: be sure to book online as soon as possible to avoid disappointment.